In “It,” the fictional town of Derry, Maine is haunted by a phenomenon from the supernatural world. This monster hunts every few decades, feasting on the children of the town. The main character, Billie, lost his little brother Georgie to this monster, which lives in the sewers and is the epitome of fear, taking on the appearance of what people fear most. Throughout most of the movie, he appears in the form of a demonic clown named Pennywise. As with all of Stephen King’s works, this movie is absolutely unnerving. Personally, I hate horror with a passion and spent most of the runtime curled up in a ball, praying for Pennywise to get off the screen as quickly as possible. The original was cheesy and in typical 90’s fashion, with the graphics laughable at best. However, that is not so with this remake. It takes your darkest fears and makes you live them. The blood is authentic looking, as is the terror you feel while watching. It is a terrifically dark movie and is perhaps one of the best Stephen King adaptations ever. The original Pennywise from the 90s was corny and very light compared to the book version. 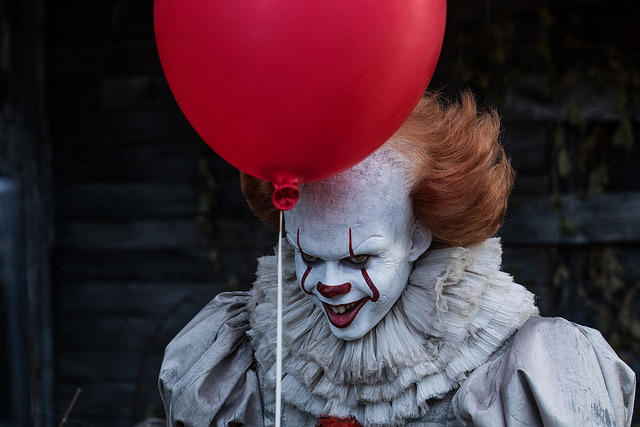 The computer-generated imagery helped make “It” more of a family movie. The 90s clown had a raspy, almost habitual smoker voice. One my brother has mastered perfectly, much to my chagrin. His presence was hinted at by either the stereotypical horror music or a red balloon. This made sure the audience was never too surprised when he made an appearance. Not so with Bill Skarsgård’s Pennywise of 2017. While there are the occasional warning signs that his nightmarish clown counterpart is coming, the new version largely adds to the horror by leaving you guessing. There are several jumpy scares where a character turns around to find Pennywise looking hungrily at them. Mr. Skarsgård must have had a heck of a time bringing his own maniacal twist to this horror classic, as the costumes also differ. 90s Pennywise looked like a demented Ronald McDonald, whereas ’17 Pennywise looks more like a circus freak gone horribly wrong. The teeth are also far more jagged and gruesome, adding to the intimidation factor. The cast of amazing child actors that portray children (or, “The Losers”) add greatly to the film’s intensity. For not having had many leading roles in their lives, the children really took their parts quite seriously. This is especially evident in the performance of Jaeden Lieberher, who played the main boy Billie. His arc touches on grief and coping with a tragic loss in a way that really touches the audience. 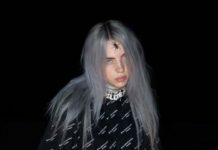 This makes the nightmare all too real, as many people have lost loved ones and have a sense of denial like Billie does initially. To have a fear of the cellar and creepy clowns is also quite relatable. The actors do an outstanding job making the audience feel authentic terror and horror when Pennywise make an appearance. That speaks volumes. One thing is for certain: this remake will give coming generations nightmares of the feared clown, Pennywise.